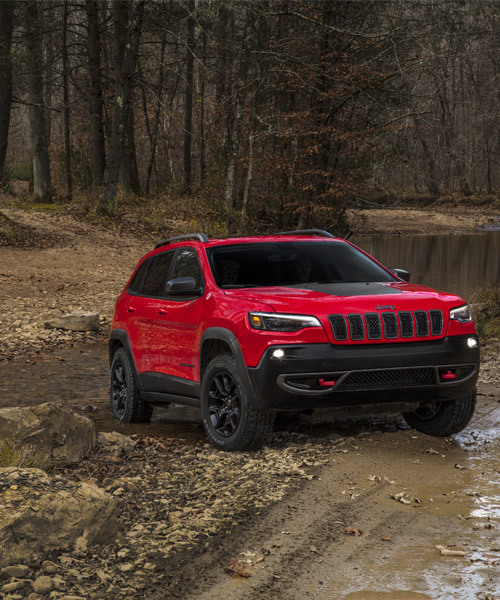 in time for a week of driving on picturesque trails, jeep has revealed seven new, custom-built concept vehicles at easter jeep safari 2018.
with a more all-american authentic design but still more fuel efficient powertrain engines, the jeep cherokee 2019 is set for its global debut at NAIAS 2018.
they gave die-hard fans exactly what they wanted. rezvani's tank SUV boasts a variety of survival options, including night vision, thermal cameras and bullet-resistant kevlar armor. 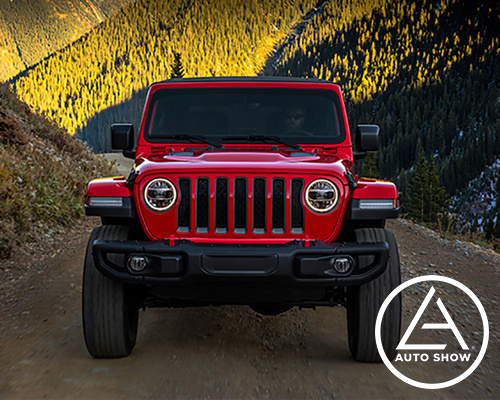 JEEP wrangler black hawk edition by project kahn + chelsea truck co.
designed by afzal kahn of british automotive fashion house, project kahn, the JEEP wrangler black hawk combines a tough aesthetic with luxury materials. 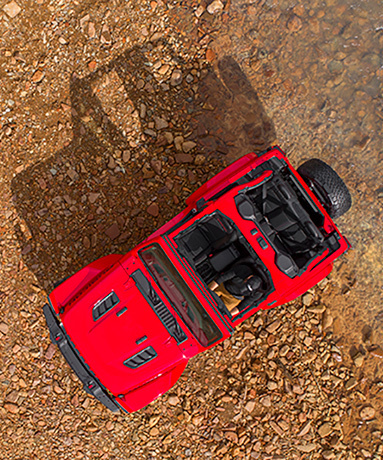 the hum rider is a JEEP 'grand cherokee' fitted with custom hydraulics elevating it five feet in the air, offering enough clearance soar above traffic and drive over it. 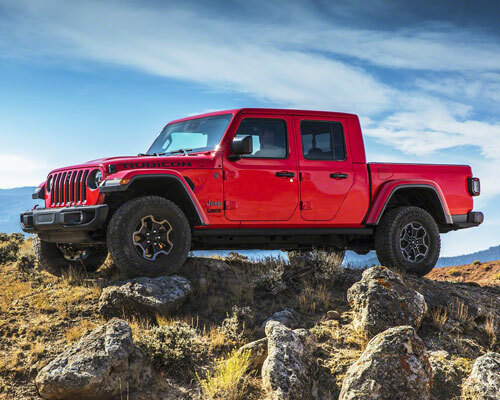 the JEEP wrangler rubicon with chief blue exterior features mopar ONE, the exclusive customization package increasing its off-road performance. 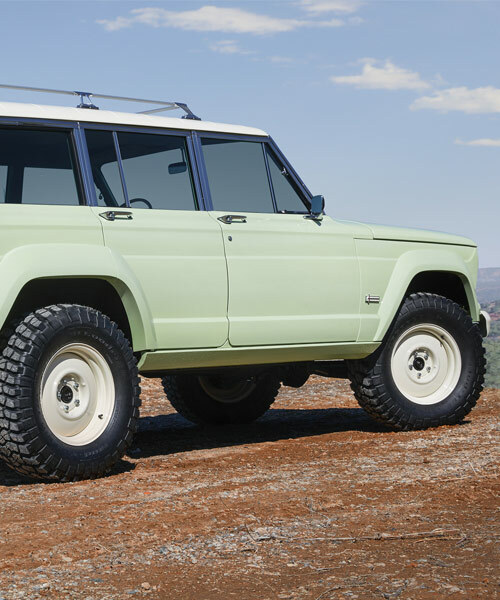 dubbed the rock rat, this build is based upon a 1947 JEEP 'CJ2A' body that has been fused with a 700 horsepower engine from a school bus. 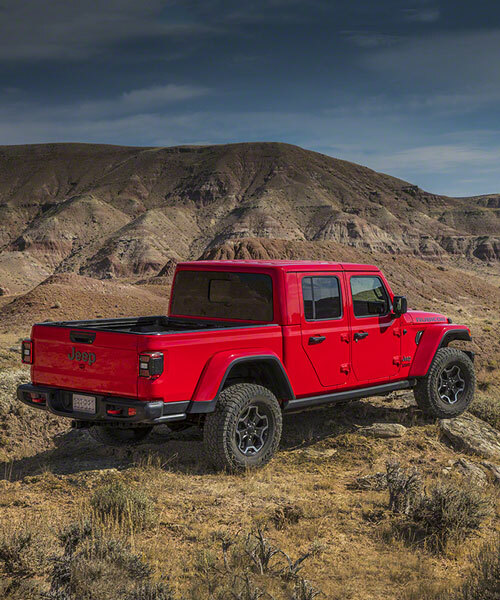 a big red take on the classic jeep CJ-5, this wrangler-based concept vehicle mixes the spirit of 1950's americana with functional simplicity and a tartan interior. 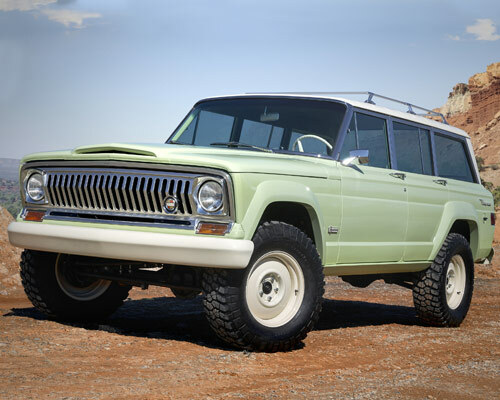 based on current jeep models, the series commemorates 75 years of off-road dominance with rigorous performance specifications and heritage design cues. 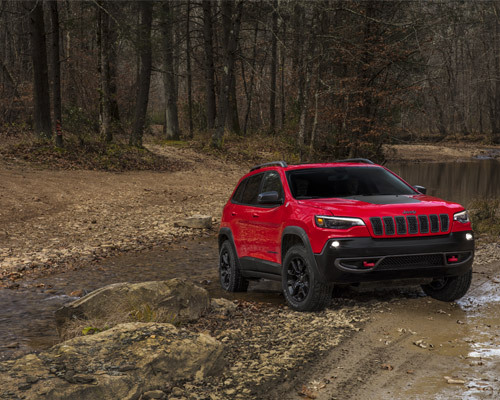 the small SUV delivers a unique combination of off-road capabilities with advanced and intelligent all-wheel drive technology, an open-air roof systems and a nine-speed automatic gearbox for superior driving dynamics.